L-R: Mercedes-Benz Malaysia, President & CEO, Dr Claus Weidner; Asbenz Stern Sdn Bhd, Managing Director; Mr Goh Chuan Kiong; Mercedes-Benz Malaysia, Network Development, Senior Manager, Mr JC Yap; Mercedes-Benz Malaysia, Vice President, Sales and Marketing, Passenger Cars, Mr Mark Raine and; Mercedes-Benz Malaysia, Vice President, Customer Services Mercedes-Benz Cars, Mr Heinrich Schromm. 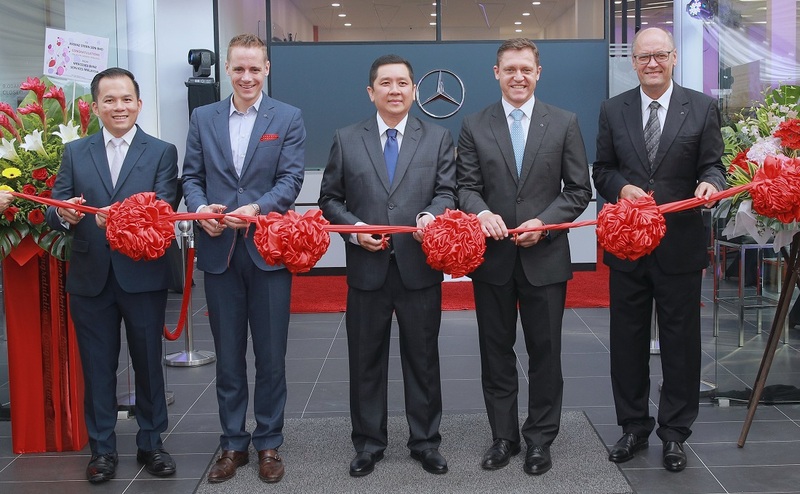 Mercedes-Benz Malaysia (MBM) makes further inroads to the east coast of Peninsular Malaysia with the official opening of an autohaus and service centre in Kuantan, Pahang. 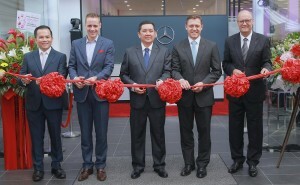 Together with its dealer partner, Asbenz Stern Sdn Bhd, the opening of the Mercedes-Benz Asbenz Stern Kuantan Autohaus is aimed at reestablishing the brand as remaining unrivalled with the largest premium network coverage in Malaysia. At a total investment of about RM5 million, the Mercedes-Benz Asbenz Stern Kuantan offers sales, service and spare parts (3S) in its Autohaus and Service Centre for a comprehensive end-to-end customer experience; staffed by eight sales and twelve Customer Services qualified and trained personnel respectively. The Service Centre is equipped with ten work bays and an inspection bay, which gives the Autohaus the capability to service up to 250 vehicles per month. The showroom has a total display capacity of seven Mercedes-Benz vehicles, allowing for the display of a range of the brand’s newest and most popular Mercedes-Benz models. “Today, together with our dealer partner, Asbenz Stern, we further underline our commitment to the East Coast region. 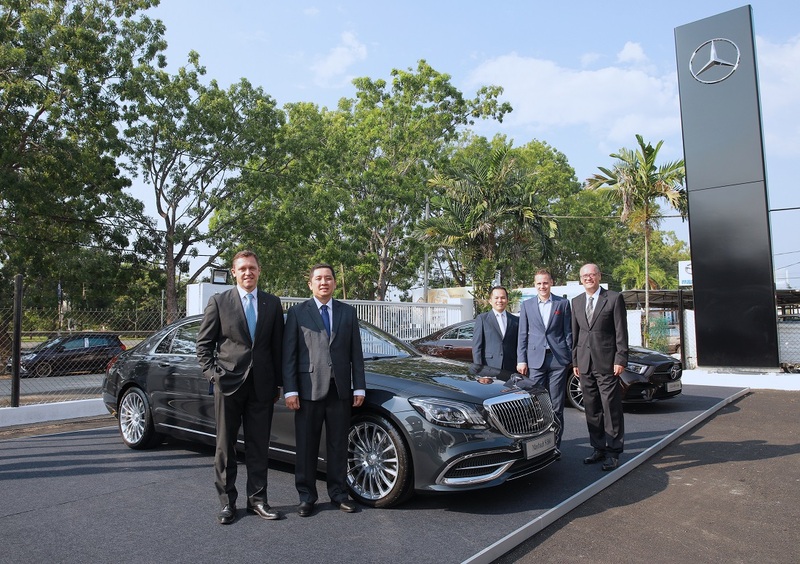 The Mercedes-Benz Asbenz Stern Kuantan Autohaus demonstrates our commitment to enhancing our customer touchpoints nationwide, delivering to our customers the Best Products and Best Customer Experience,” said Mercedes-Benz Malaysia President and CEO, Dr Claus Weidner. The Asbenz Stern Autohaus and Service Centre occupy built-up areas of 3,860 sq ft and 13,496 sq ft respectively, and are designed according to the Mercedes-Benz Presentation System II (MPS II) Autohaus concept and the latest Mercedes-Benz Corporate Identity (CI). The Autohaus also comes equipped with the interactive I-Showroom feature. With a swipe of a finger, customers have the freedom to explore and learn more about the latest Mercedes-Benz products and promotions at their own pace. “As a pioneer in automotive technology and innovation, our focus on developing key areas including talent, technology, production and services, is complemented by collaborations with our dealers. This ensures customers receive unparalleled care and customer service experience,” said Dr Weidner. With the new Autohaus and Service Centre, Asbenz Stern aims to develop the untapped market in Kuantan and further establish the Mercedes-Benz brand in the East Coast. This includes providing premium brand experience in retail and customer services to a growing Mercedes-Benz fan base and more job opportunities for the local community to pursue within the Mercedes-Benz network. “It gives us great pride to extend our reach and presence to the East Coast, giving us the opportunity to deliver the Asbenz brand of service and hospitality to customers in Kuantan and across the East Coast. Asbenz now stands proud as a multi-location authorised Mercedes-Benz dealer from our beginnings in Sungai Petani with Asbenz Motors to this milestone now, Asbenz Stern in Kuantan. We are ready to demonstrate ‘Nothing but the Best’ in our commitment to our customers, in line with the Mercedes-Benz brand promises of Best Products and the Best Customer Experience,” said Asbenz Motors Sdn Bhd Managing Director, Goh Chuan Kiong. Asbenz partnership with Mercedes-Benz began in May 2004 with its first Mercedes-Benz Asbenz Motors Sdn Bhd authorised Autohaus offering sales and customer services in Sungai Petani, Kedah. Asbenz Stern is the company’s expansion into the east coast backed by on-ground experience and understanding of operations in both Kuantan and the East Coast. The Mercedes-Benz Asbenz Stern Kuantan Autohaus launch will further expand the German marque’s presence along the east coast, covering Pahang, Kelantan and Terengganu. 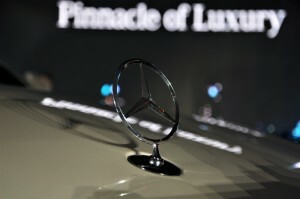 Currently, Mercedes-Benz Malaysia has 34 Autohauses nationwide – the largest premium network coverage in Malaysia. The Mercedes-Benz Asbenz Stern Kuantan Autohaus Showroom is located at A7 & A9, Ground Floors, Jalan Tun Ismail 1, 25000 Kuantan, Pahang. Tel: 09-516 3355; Fax: 09-517 2255; 24 Hrs Breakdown Service: 017-816 5515. Tel: 09-517 1155; Fax: 09-517 2255; 24 Hrs Breakdown Service: 017-816 5515.